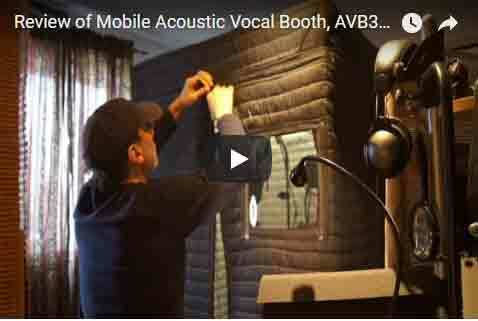 Acoustic Vocal Booth AVB33 REVIEW. This video is a courtesy of an accomplished voice over actor from Canada – Daniel Pronce. He was very happy with his mobile acoustical Vocal booth, so he made a review for his subscribers and generously sent us a copy to use. See how he set up the booth, fit his audio equipment, microphones etc. Daniel also described how the booth arrived and how easy it was to assemble the vocal booth. He also included sound samples. ( singing and playing guitar). This entry was posted in Acoustic Mobile Vocal Booth, Acoustic Product Reviews and Testimonials, Testimonials, Uncategorized and tagged acoustic vocal booth review, home recording studio, voice over recording.